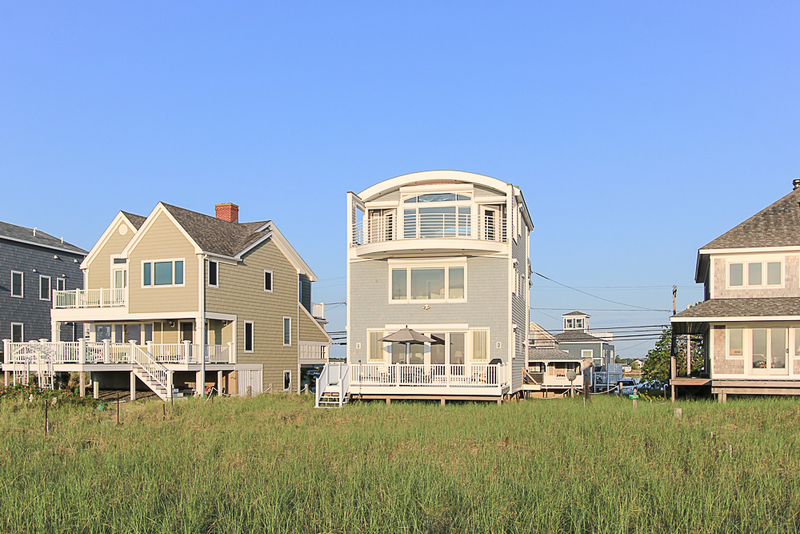 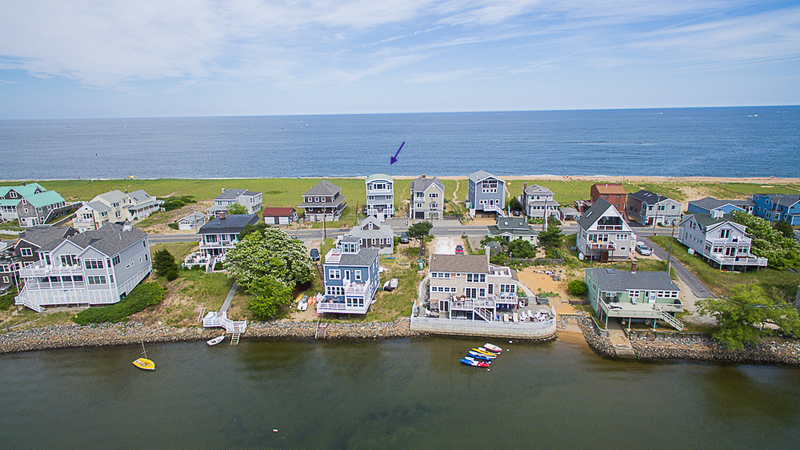 “Wild Plum”, this one of a kind year round ocean front home is sited on one of New England’s iconic beaches – Plum Island. 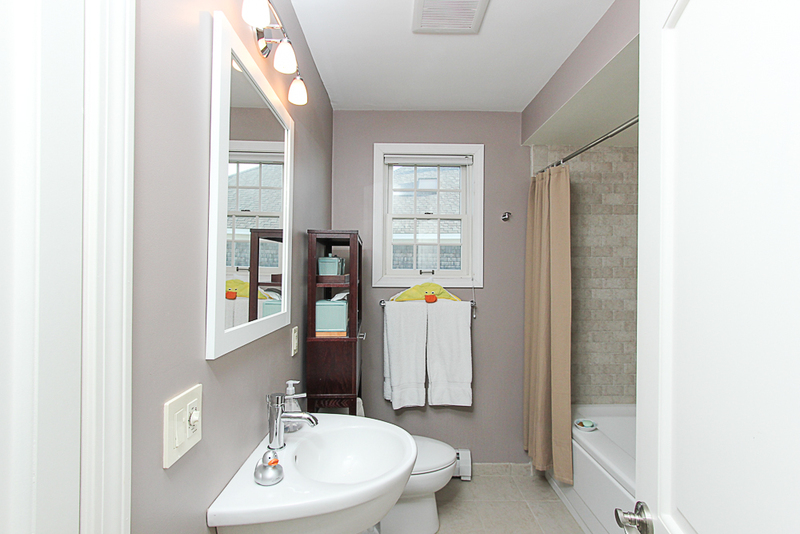 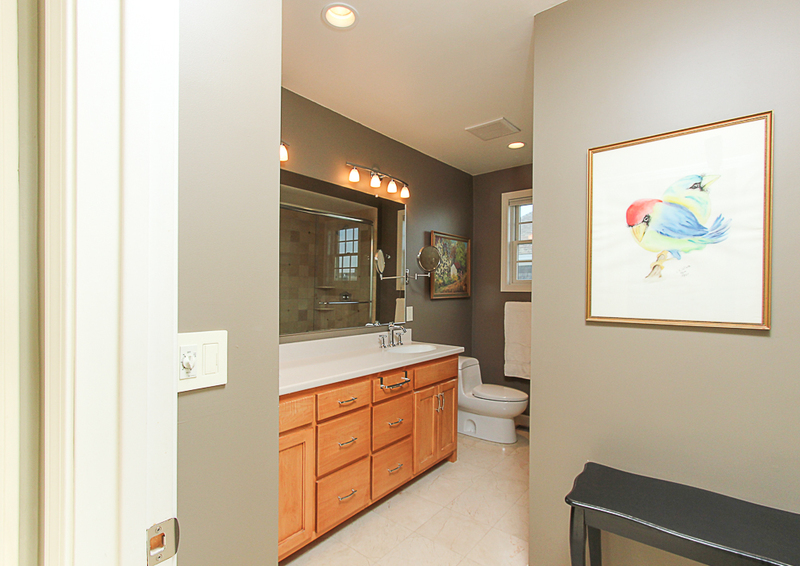 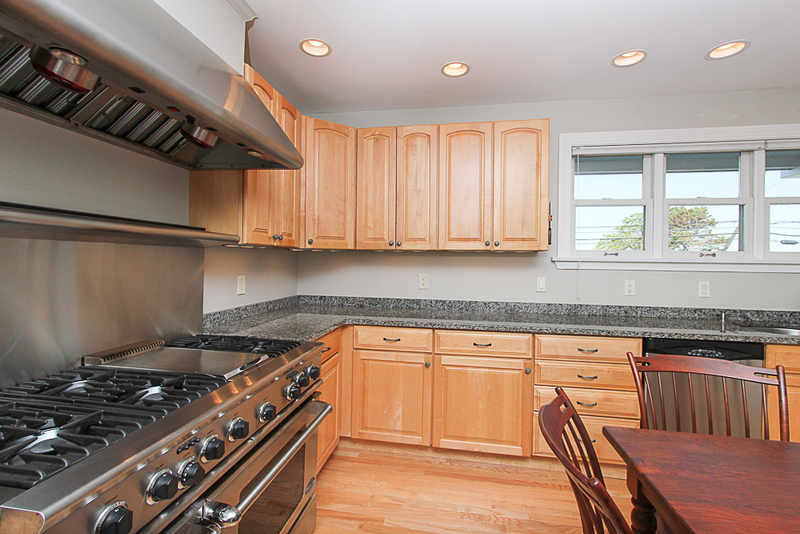 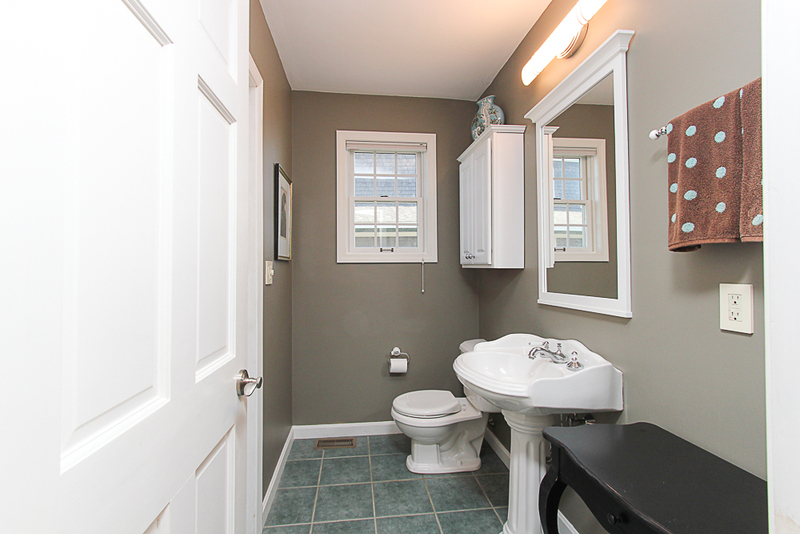 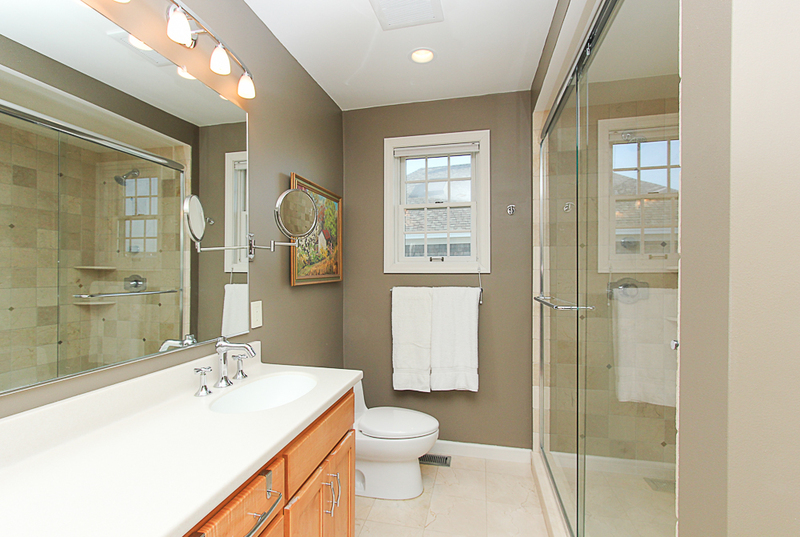 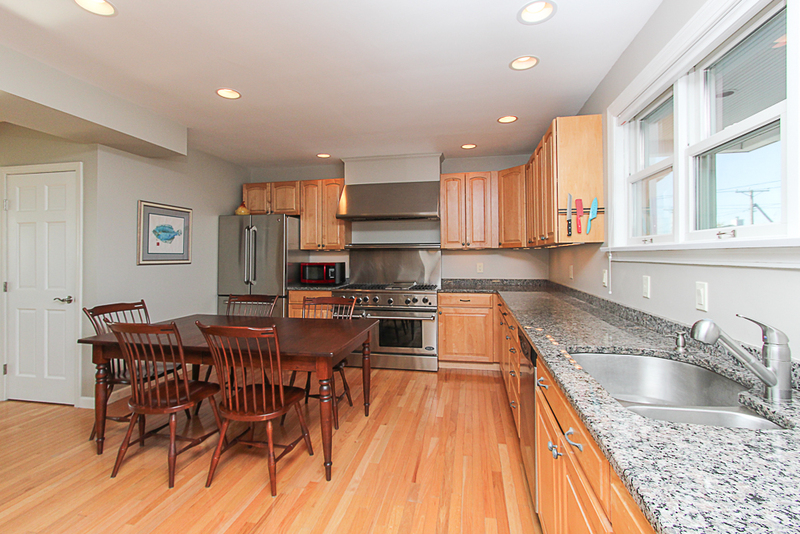 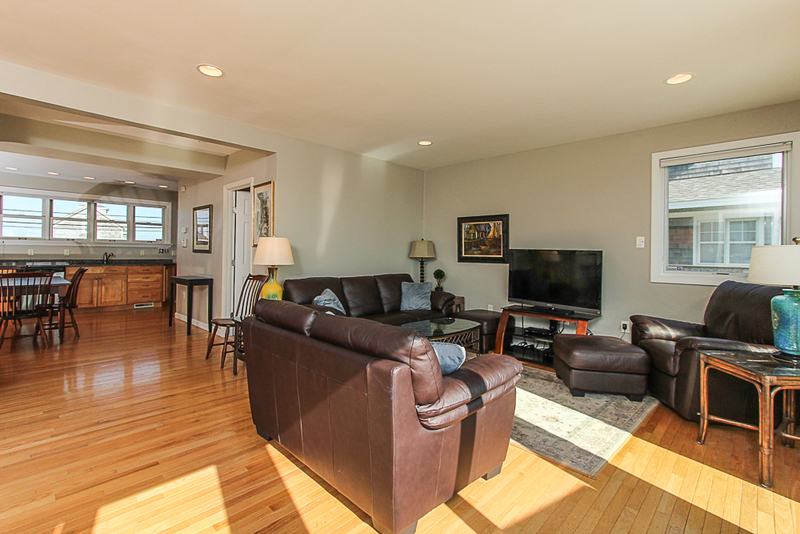 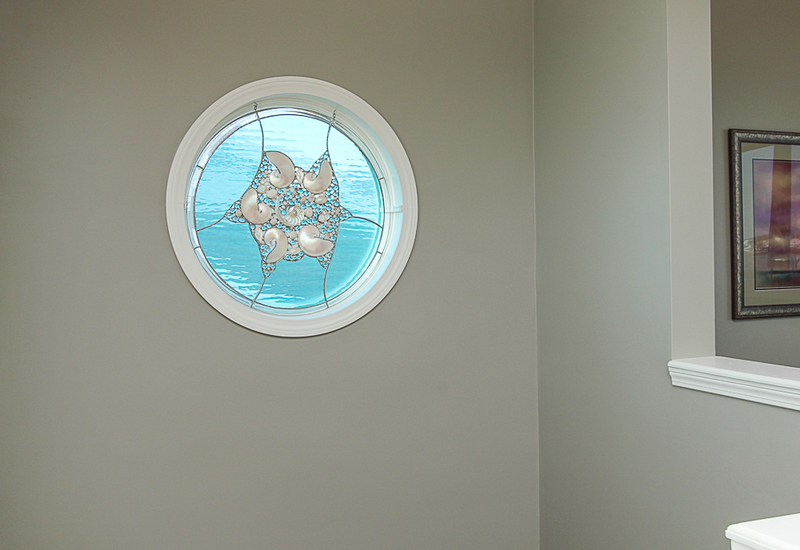 This home was built in 1998 and substantially expanded and remodeled in 2005. 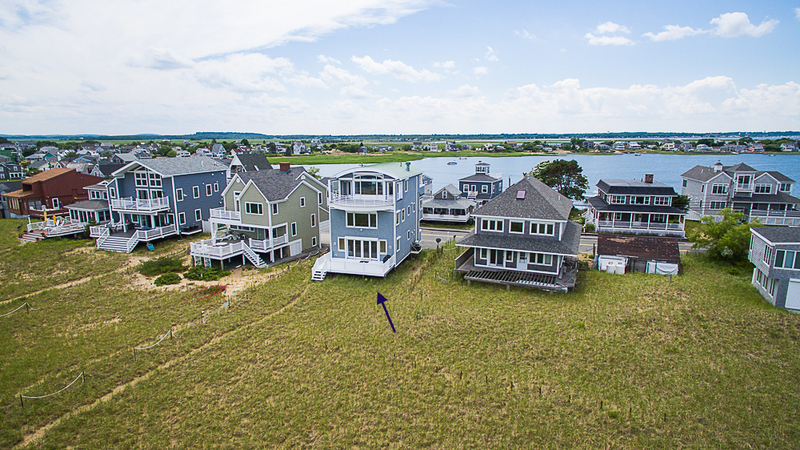 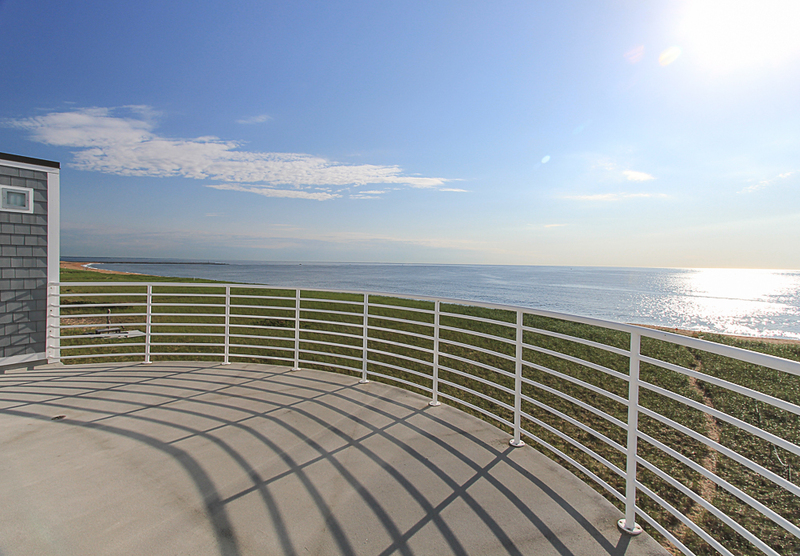 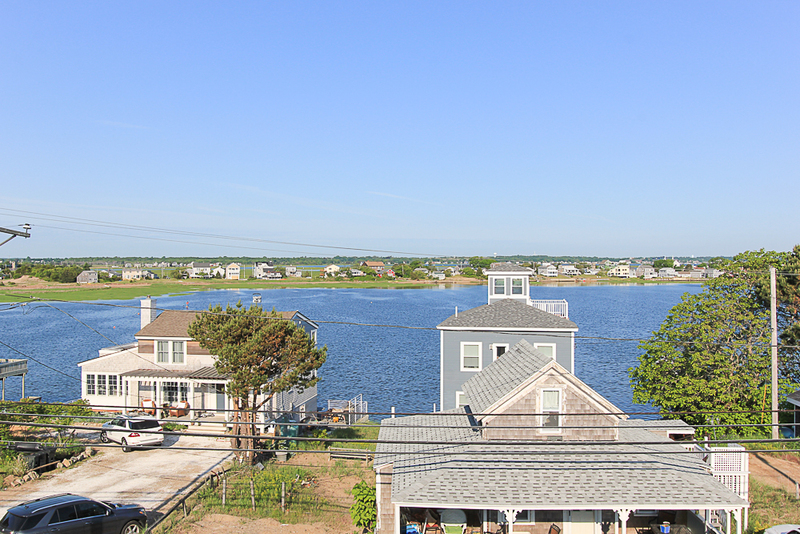 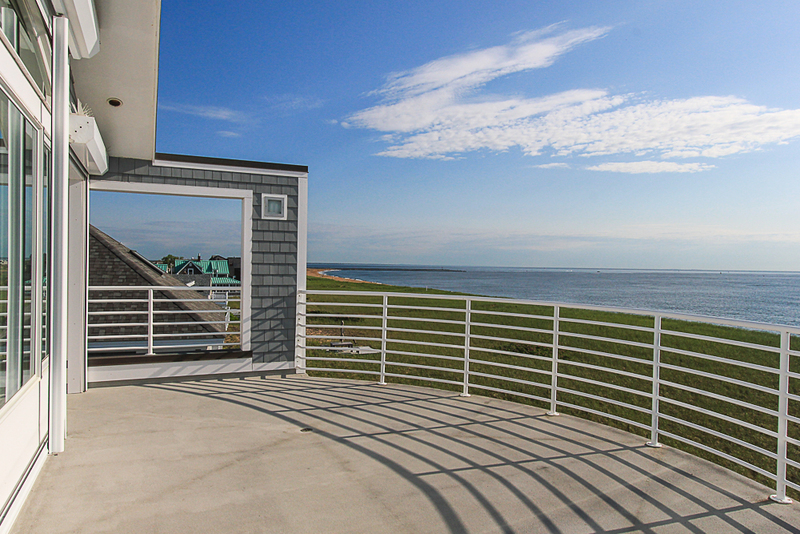 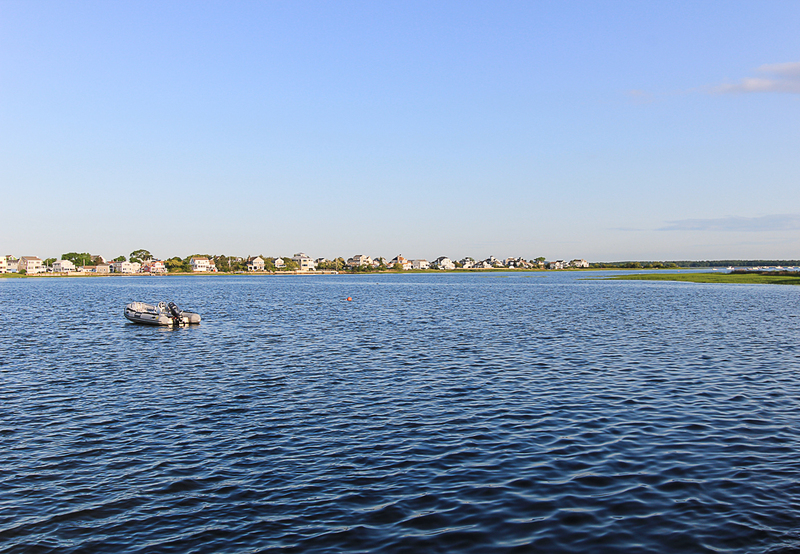 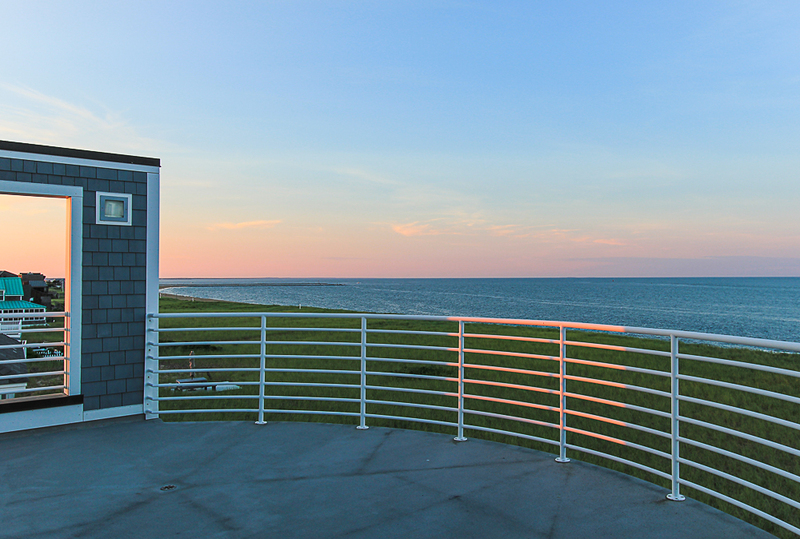 It now sits strategically higher than surrounding homes which affords spectacular ocean views from Maine to the north to Cape Anne to the south, as well as water views over the wide Newburyport Basin to the west. 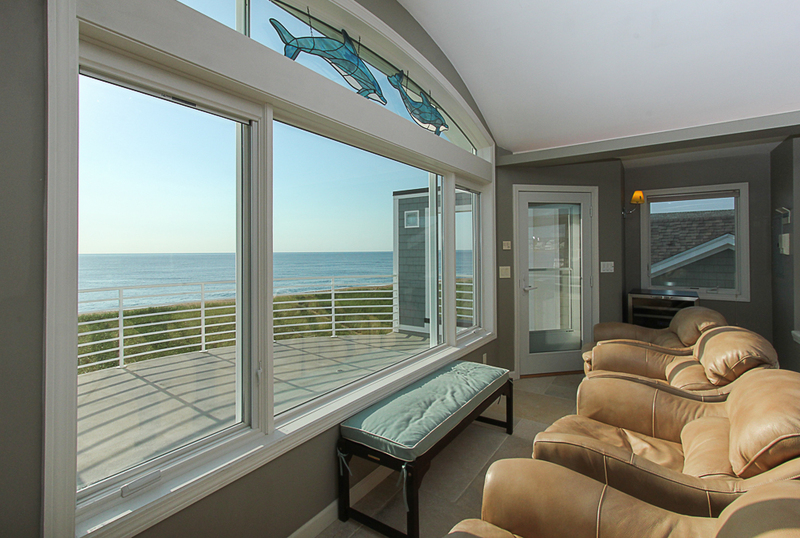 The house’s many windows capture the light from all directions. 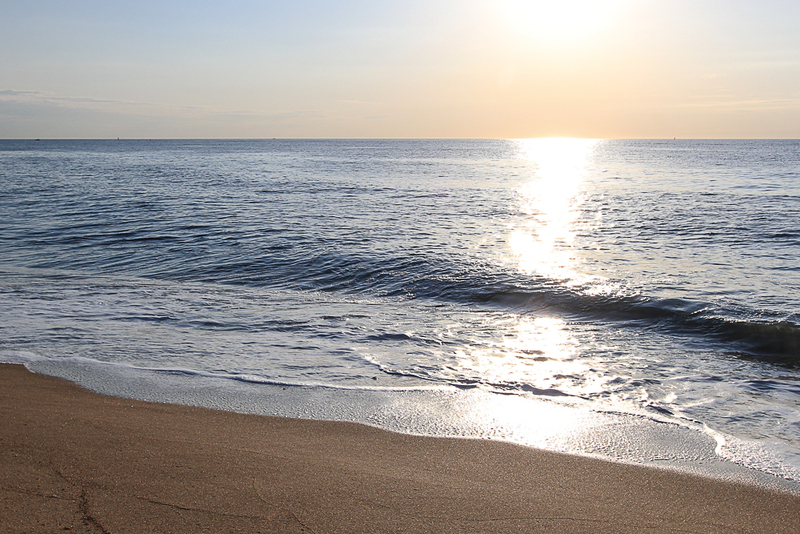 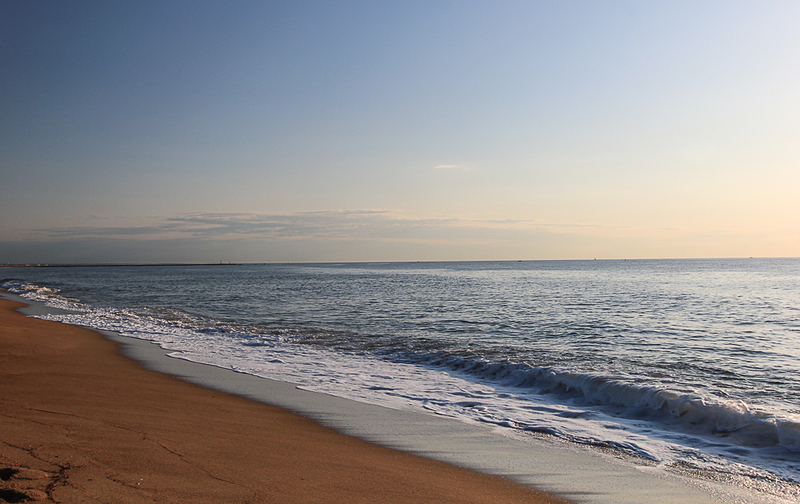 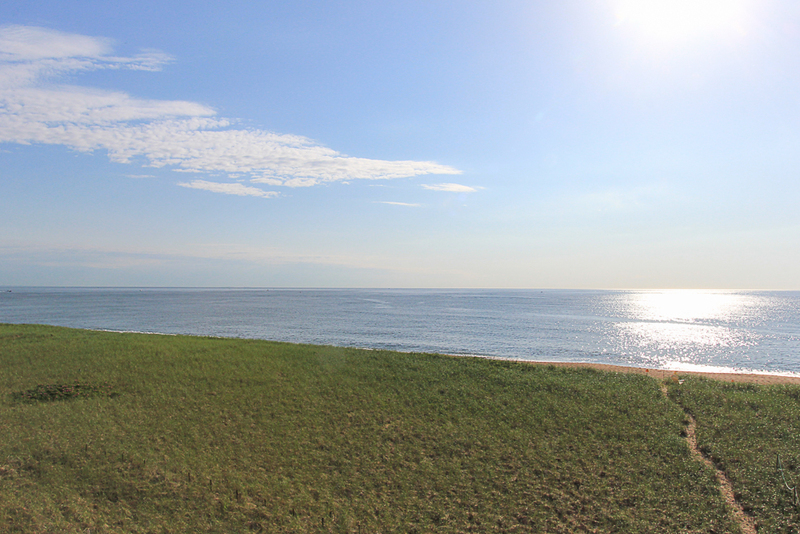 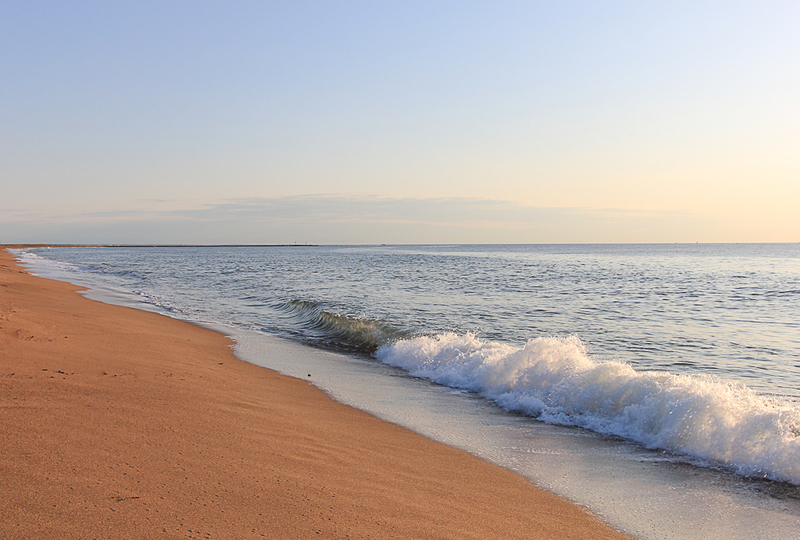 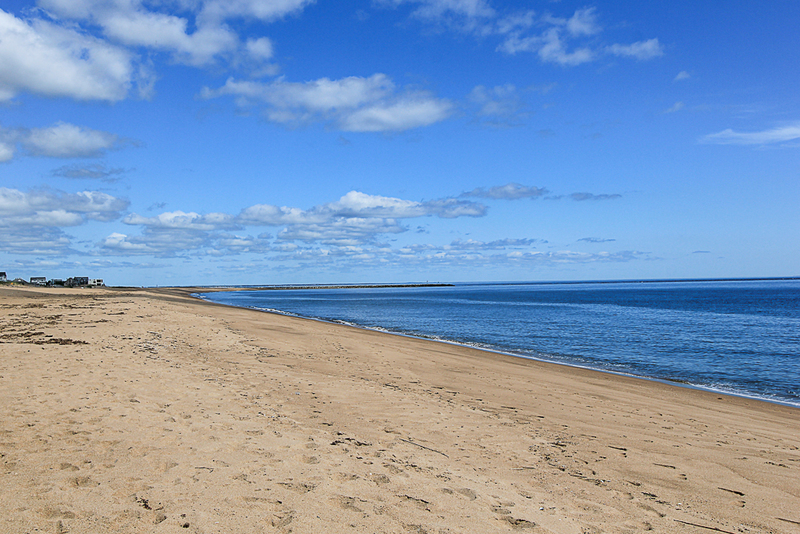 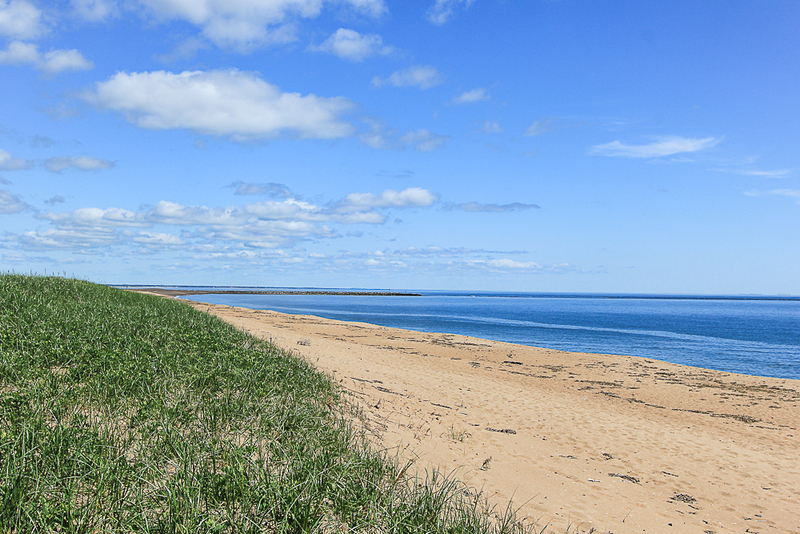 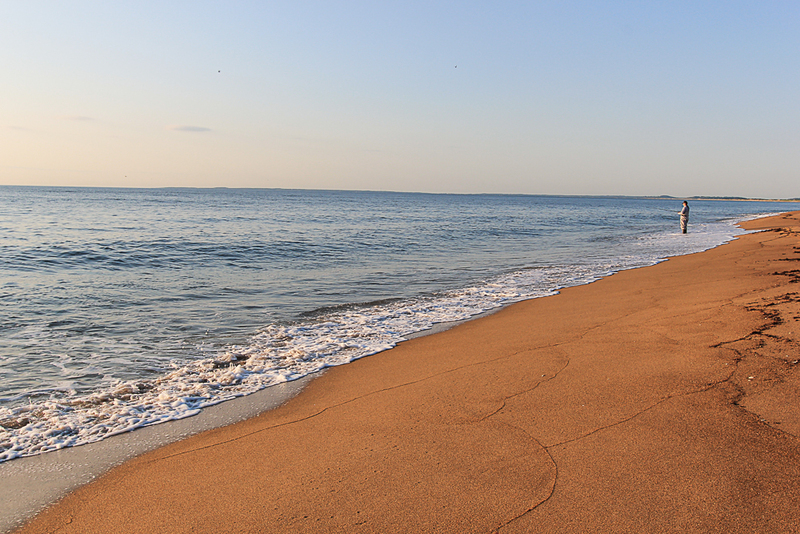 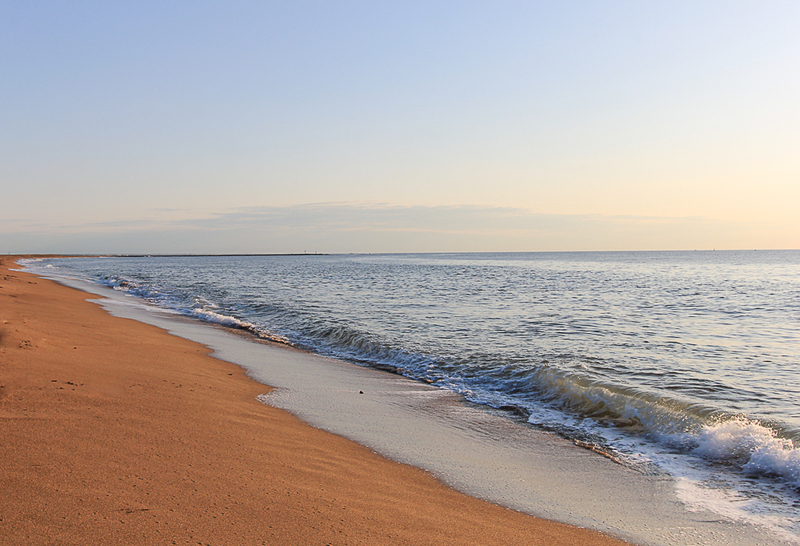 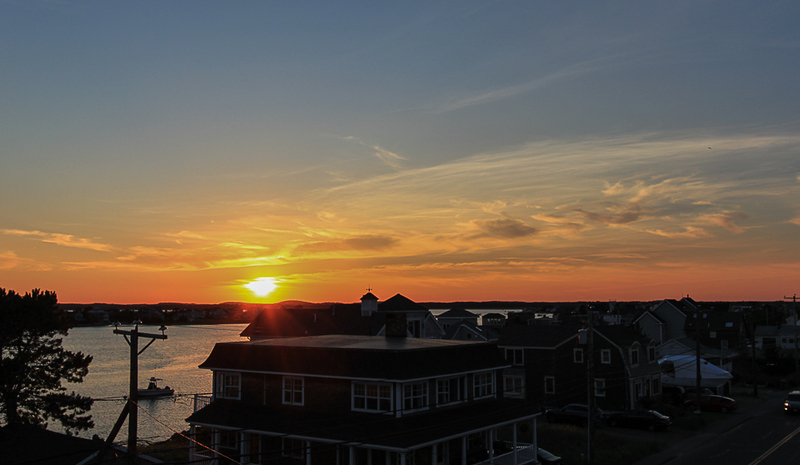 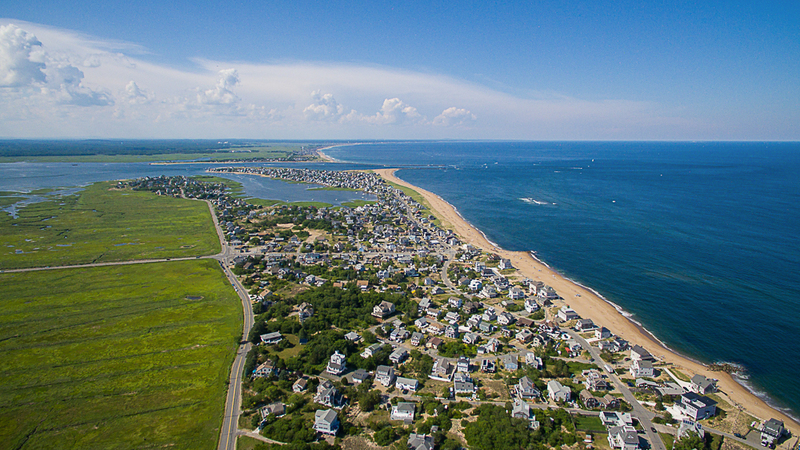 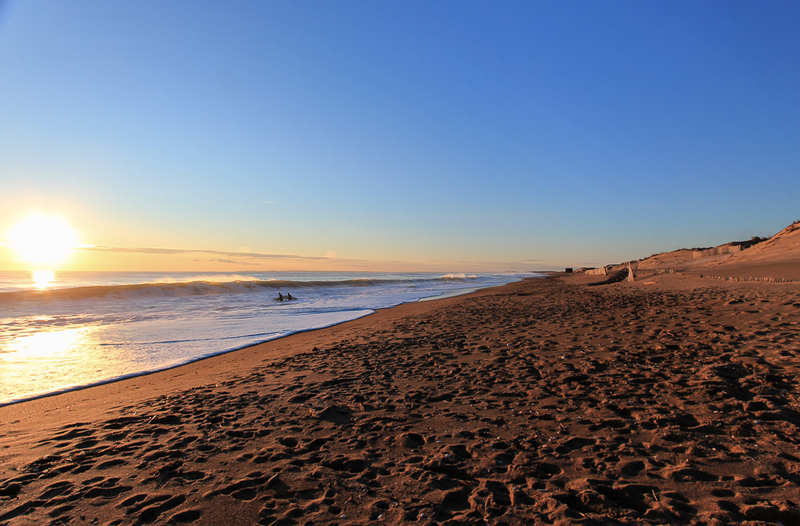 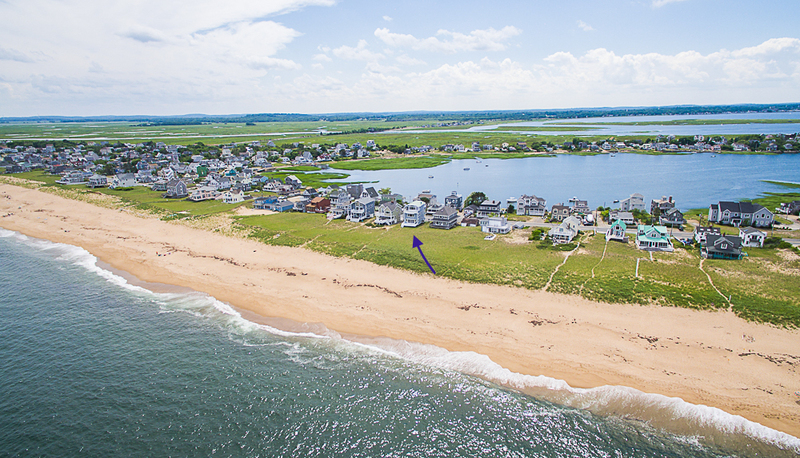 Plum Island is an 11 miles long barrier island, with 10 miles of continuous sandy beach. 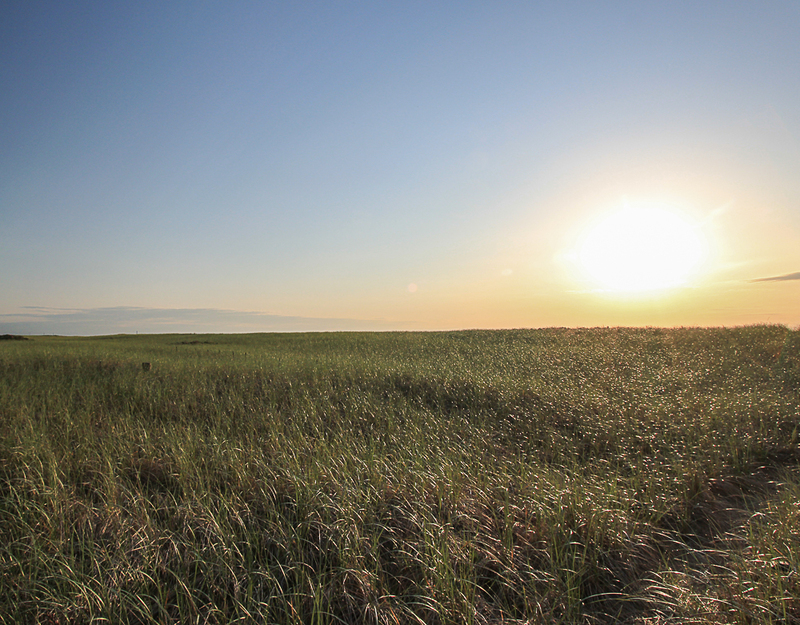 More than half of the Island is wild and undeveloped as part of the Parker River National Wildlife Refuge. 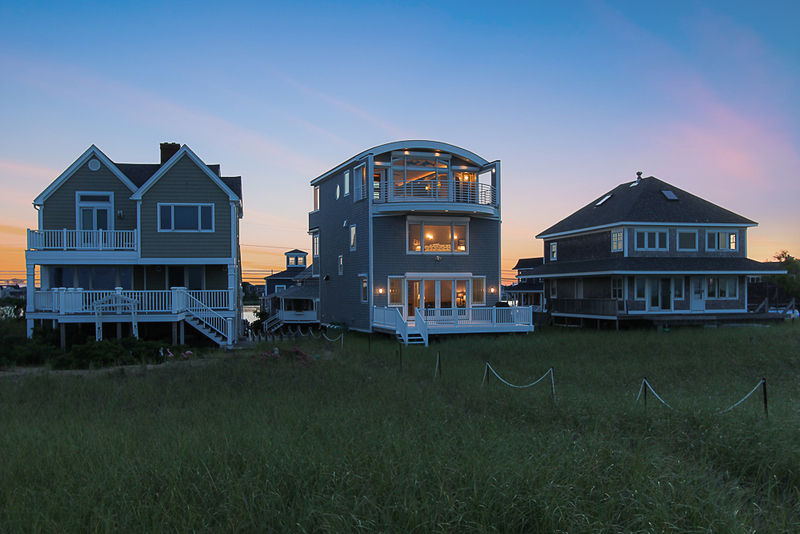 This home is on a more private section of the beach and its replenishing shoreline is protected by several offshore sandbars. 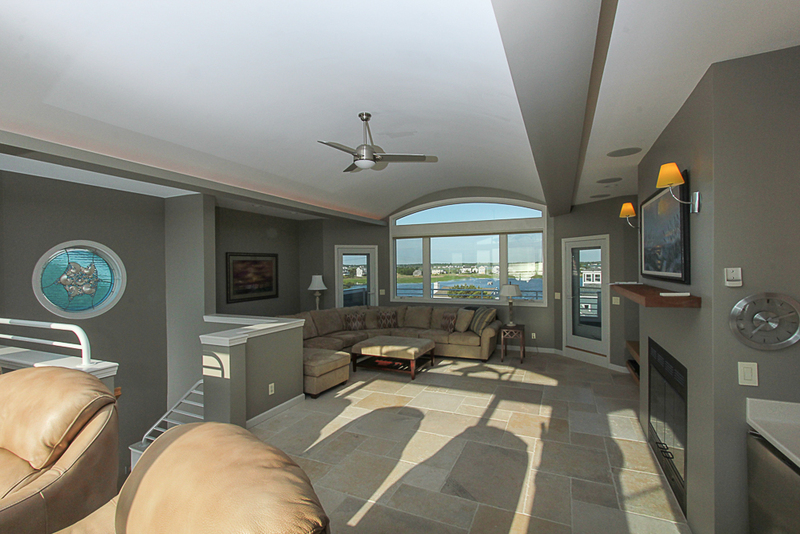 The interior floor plan and three exterior decks provide both privacy and spectacular 360 degree views. 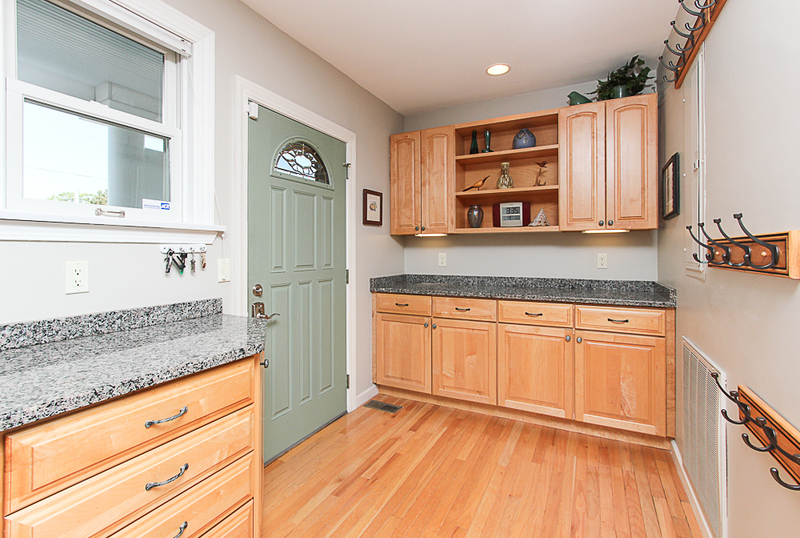 The first floor open floor plan offers hardwood floors, an entry foyer with wood cabinets, an eat-in cook’s kitchen with maple cabinets, granite counters and stainless steel appliances that include a 6-burner DCS professional gas range, a living room with additional dining space, and a powder room. 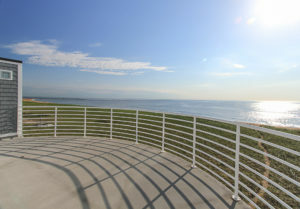 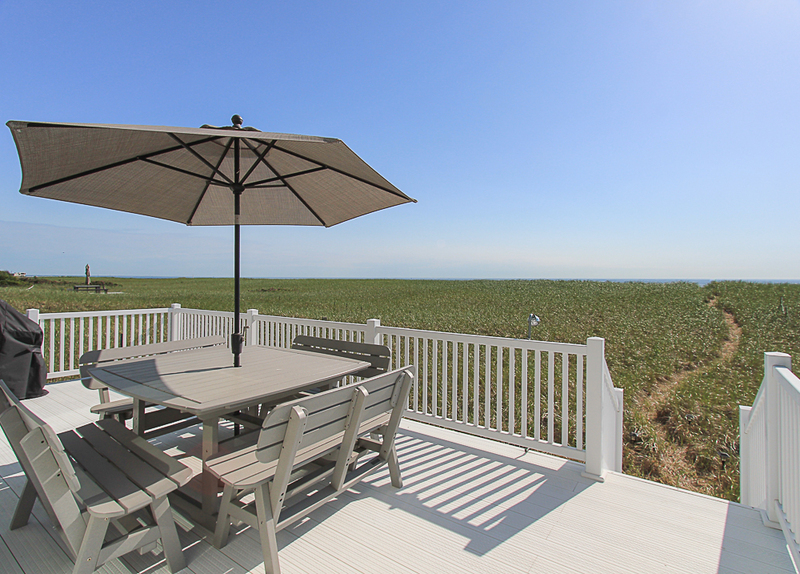 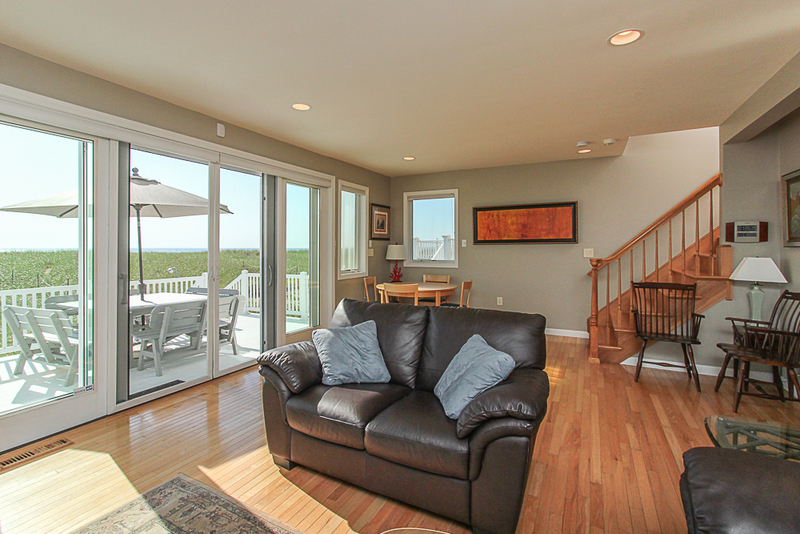 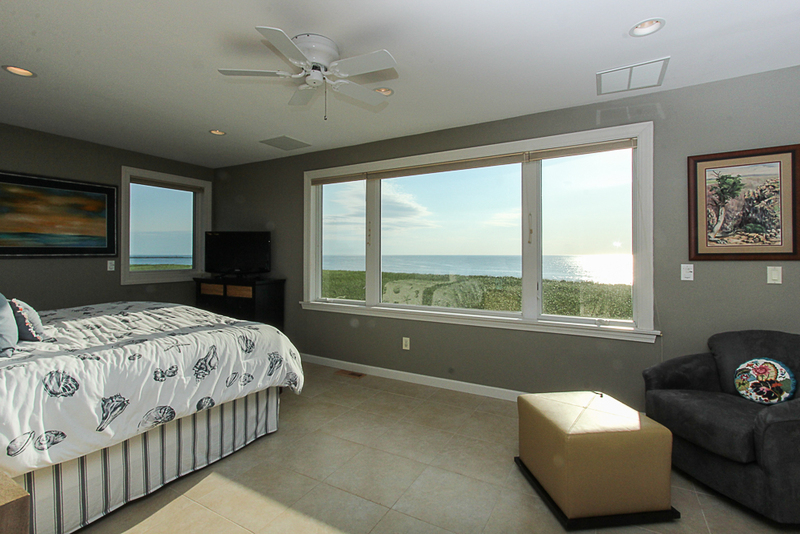 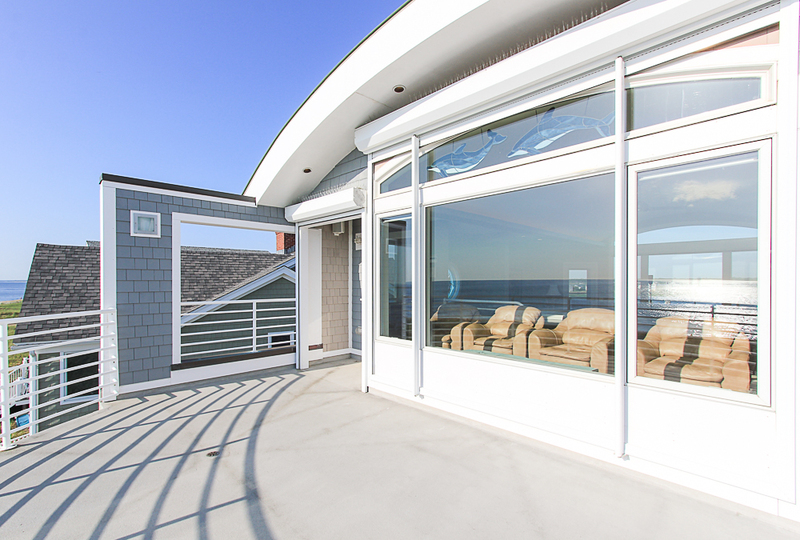 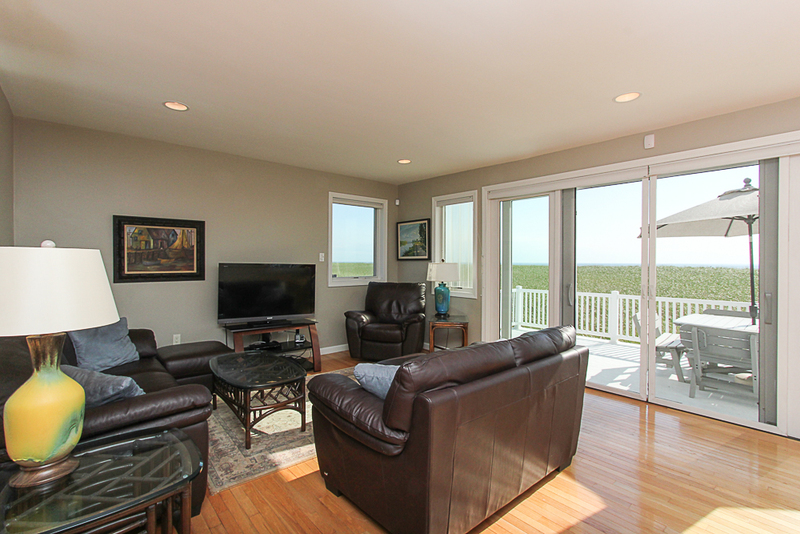 Large patio doors open to a deck overlooking the seagrass on the dunes and the ocean beyond. 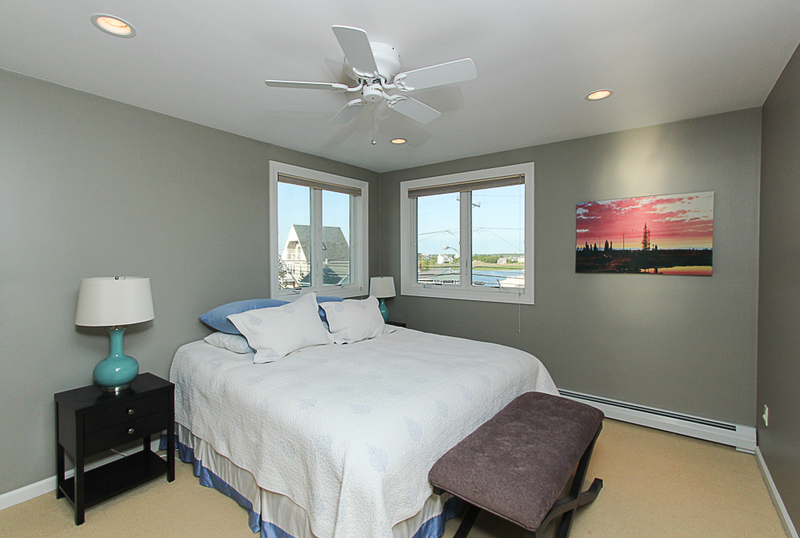 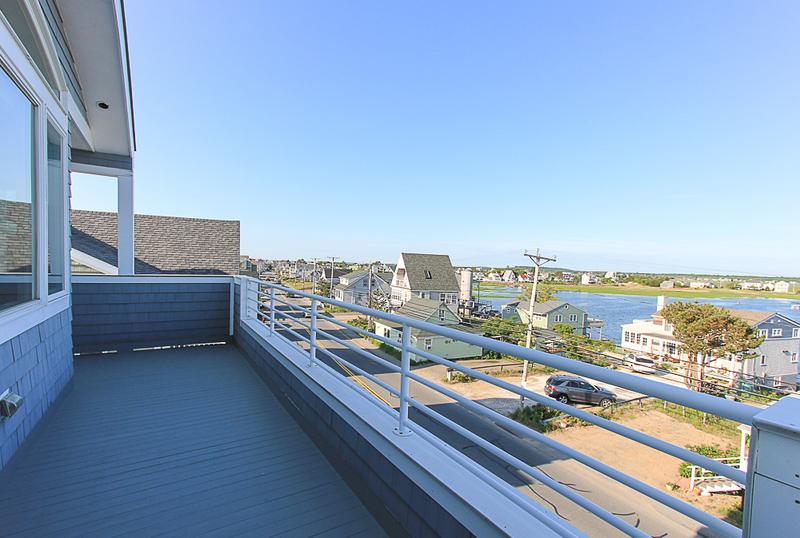 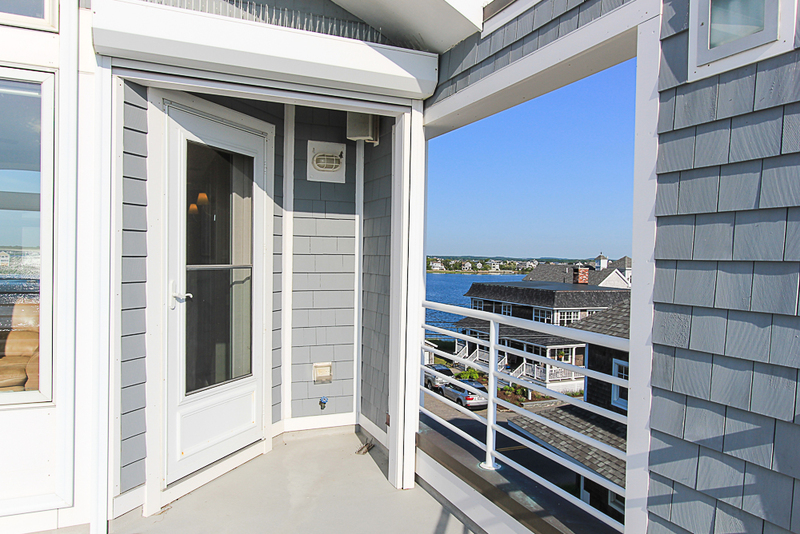 On the second level, the master en suite bedroom has expansive views of the ocean, and two additional bedrooms with a full guest bath have water views over the Newburyport Basin. 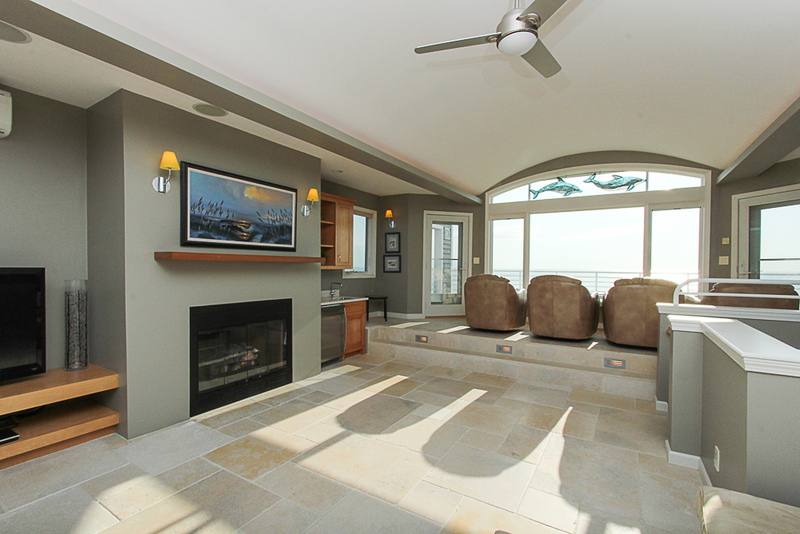 The piece de resistance is another family room which occupies the entire third floor, with a gas fireplace, wet bar, wine cooler, fabulous Jerusalem stone floor and access to two of the decks. 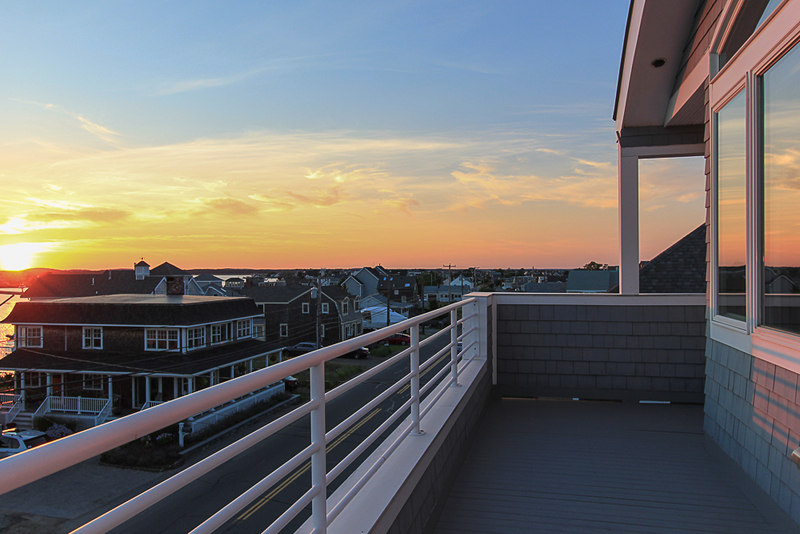 The ocean facing deck provides glorious sunrise and moon rise views, and the westerly facing deck captures sunset views which paint the entire western sky pink, with reflections over the waters of the Basin. 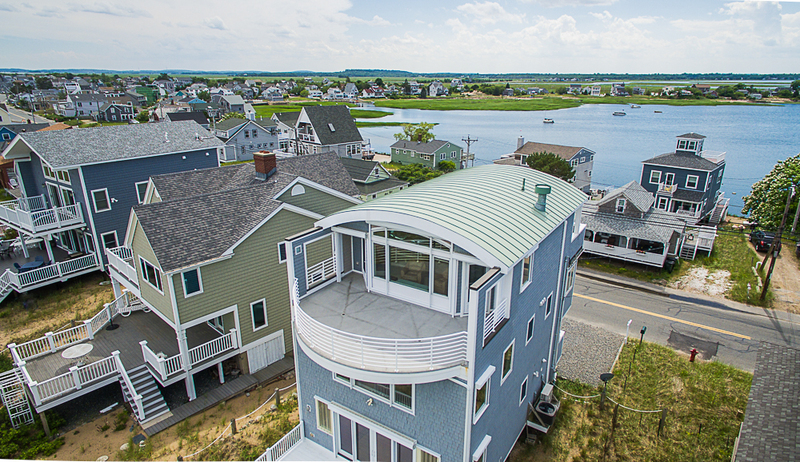 The HVAC system servicing the house consists of a new high efficiency air conditioning and heating plant, a Munchkin boiler providing hot water and radiant floor heat to the second and third floors, and a separate heating and air conditioning unit serving the third floor. 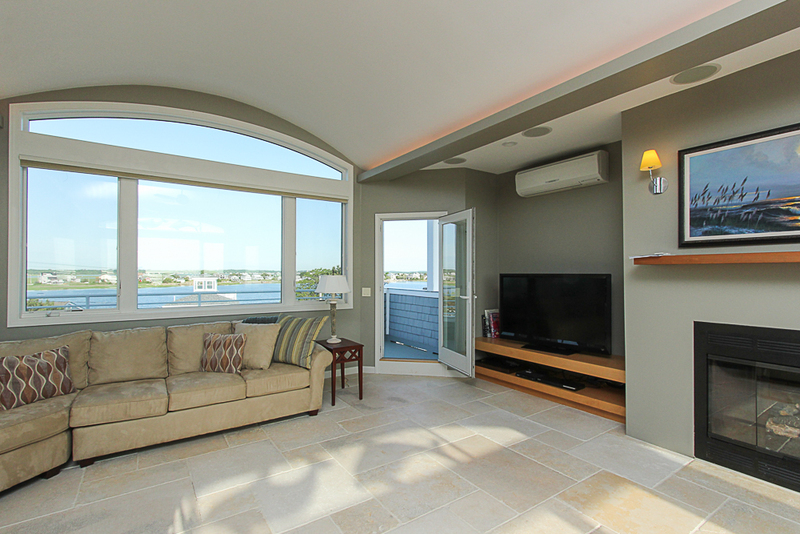 The building envelope is protected from the elements by insulated and storm rated windows and patio doors and electric hurricane shutters. 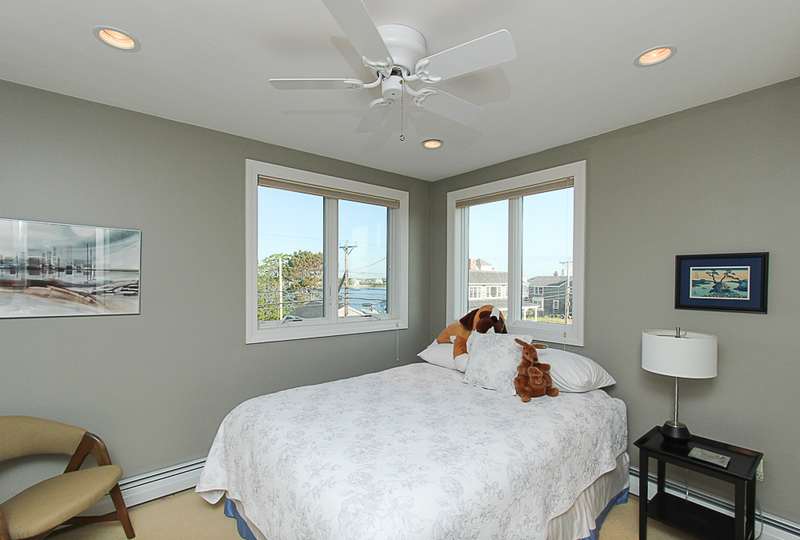 An ADT monitored security system provides burglar, fire, smoke and freeze sensors. 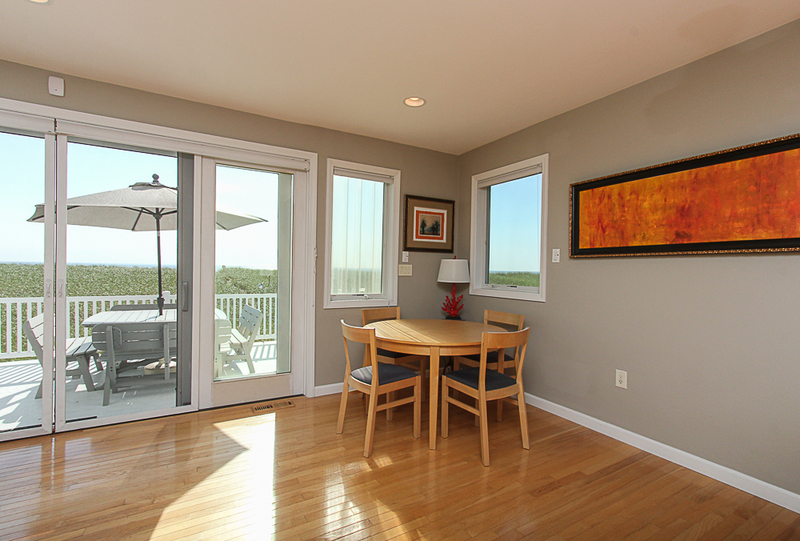 Below the photos, read what the owner has to say!